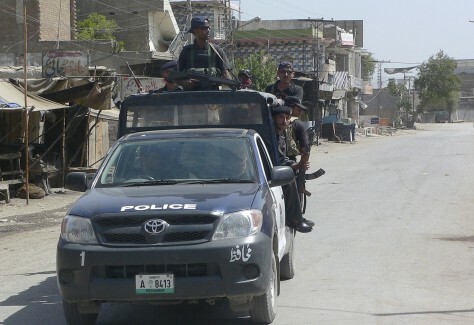 Pakistani police officers patrol a road during a curfew in Bannu, Pakistan, on Tuesday. The military have started to shell Taliban hide-outs in the district, according to a local official. It was not clear if the shelling signaled the opening of a new front against militants.